1. Why do my gums and teeth hurt during pregnancy? Your hormones aren’t the only thing changing. The same pregnancy hormones causing you to sob during a Sarah McLachlan commercial affect your teeth too. Increased estrogen and progesterone levels multiply dental plaque. Because of a surplus of the sticky stuff (bacteria), many women are prone to get pregnancy gingivitis. It’s characterized by inflammation of the gums, swelling and tenderness. Plus, studies link periodontal disease to pre-term and low-birth-weight babies. 2. Do I need to have a teeth cleaning during pregnancy? Add a dental visit to your new nursery and gender reveal party. A dental check-up may not be top of mind, but it’s important for a healthy pregnancy. If you’re newly expecting, bring your baby-to-be belly to the dentist. A routine cleaning will keep your smile on-track. If you’re due for an x-ray, they are safe up until the second trimester. Be sure to consult with your doctor. 3. 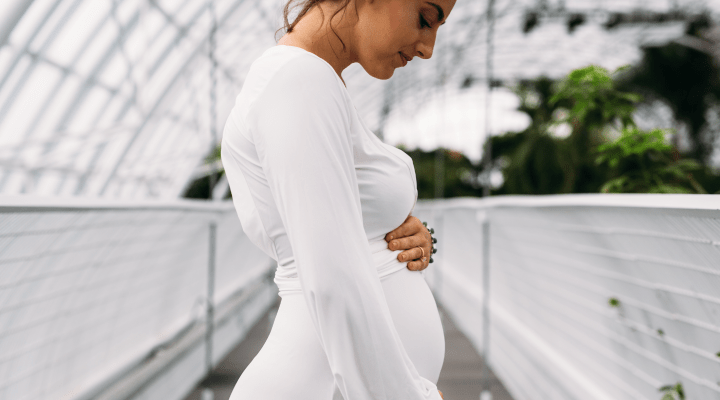 How much should I be eating during pregnancy? You’re eating (and brushing) for 2. The “eating for 2” cliché makes it easy to justify eating an entire ice-cream pint (it’s the only size you need, right?). You do need to consume more when you’re expecting but maybe not the whole pint. Your baby’s teeth start to grow as early as 3 months into pregnancy. Make 2 smiles and 2 bodies strong — eat a balanced diet filled with calcium, phosphorous, protein, and vitamins A, C, and D. Eat healthy and your baby’s kicks will feel more like a high five. Prepare your smile for pregnancy now so you can put your focus back on that new nursery.